Since 2015, Zambia has been integrating open contracting principles into its public procurement processes. One case that ignited interest in cracking down on poor procurement practices was a controversial deal to purchase fire trucks. In 2012, the Government of Zambia announced that it intended to improve fire safety, and embarked on a process over the next few years to obtain the necessary equipment. A competitive procurement process was announced, awarded, challenged and then confirmed over the course of 2015 and 2016. The government bought 42 fire trucks for US$ 42 million. Despite the lengthy and fraught process, there remained questions as to whether the trucks were in good condition, appropriate and good value, and whether the winning contractor was a shell company. Six people who took part in an anti-corruption protest against the result were arrested and charged with “disobeying lawful orders,” a move that one of the activists described as typical of the intimidation used against government critics. After this and other explosive procurement scandals, the Zambian Public Procurement Authority (ZPPA) began working to make public procurement more transparent, accountable, and effective. As part of this work, they have introduced a new electronic government procurement (e-GP) system developed by European Dynamics. This is one of the first e-GP systems to be developed with the Open Contracting Data Standard (OCDS) from the start. ZPPA has also begun to define how these data should be used for enhanced monitoring and oversight. The Open Contracting Partnership (OCP) has provided support to the ZPPA, including technical support and advice on using OCDS data for monitoring. As part of our commitment to documentation and sharing learning with the field, we collaborated with Patricia Palale Makwebo, a Zambian public sector management specialist, to understand the progress, challenges, and lessons learned by ZPPA and other stakeholders, and opportunities for improving data quality and use. We found that several major challenges to achieving measurable impact remain: most notably, awareness, capacity, internet access, and political resistance. By implementing electronic government procurement and introducing more oversight and integrity mechanisms, ZPPA hopes to help reduce interference in procurement processes by parties whose interests don’t align with public welfare. This will help improve the efficiency of the process, oversee that specifications are set appropriately, and enable more widespread monitoring. One of the strongest successes of Zambia’s open contracting reform is its roll-out of the e-GP system and publication of OCDS data, which began in 2017. ZPPA makes reports publicly available on their e-procurement website. The e-GP system supports public procurement procedures through several sub-modules that provide various functions along the procurement process from tender to implementation, including tender notification, bid preparation and submission, online bid evaluation, contract awarding, placement of electronic purchase orders, electronic invoicing, and order tracking. The key benefits of e-GP span not only procurement entities, but also oversight institutions, civil society, and the private sector: time and cost savings from simplified tendering and data publication processes; improved oversight and transparency from more timely and complete publication of tender, award, and implementation data; and visibility of spending patterns by procuring entities. Importantly, the technical teams at ZPPA and European Dynamics have the skills and capacity to publish high-quality data. What is published is highly usable and includes a detailed versioned history, which unlocks use cases around tracking amendments and other changes that occur throughout the contracting process. The data reviewed is technically valid, which is an important foundation for interoperable data and is essential for the data to be used in OCDS tools and scripts. The data also contains some of the key features which are important to users of contracting information, such as identifiers for organizations, common classifications for the items being procured and links to documents. A full change history is provided via the OCDS releases and records model which is a stand out feature of the implementation and is important for users who want to track change over time. ZPPA has also shown its commitment to working with actors across sectors to use data and drive results. ZPPA has organized several workshops in and outside Lusaka to share information with stakeholders and has introduced quarterly press briefings to share procurement information with the public. The press briefings have the potential to be used as opportunities to share data from the e-GP system with the public and point them to the data that is available on the portal. Non-governmental commitment to and interest in open contracting is high. We saw that the private sector is eager to work with ZPPA to disseminate information to their members and encourage them to seek further information from the Procuring Entities (PEs) with whom the private sector works. We also found that CSOs are eager to consider how they can use open data to hold government accountable and demand more openness and improvements to the public procurement system. It was clear that all interviewees felt that there were opportunities to use open contracting data for their work. Procurement officials also showed a keen interest in using and disseminating OCDS data and reports among their members. However, despite these positive aspects, obstacles remain. A key challenge to impactful use is the limited volume of data. Thus far, the e-GP system has been rolled out to twenty-three (23) entities. While all interviewees were aware of the e-GP system, many were not using it. Currently, there are only about 300 contracting processes in the system, suggesting it is not yet being widely used by procuring entities in Zambia. Various reasons were given for not using the system, most notably that there is no imperative to use e-GP and there are no sanctions for not using it, there are serious connectivity and hardware issues, and there is still a preference for using the old system due to information sensitivity and ease of use concerns. Further, while information and reports regarding procurements undertaken in e-GP by the PEs can be obtained from the portal, this information does not reflect a true view of procurements undertaken by the PEs, as not all procurements are done through e-GP thus are not reflected in the system, and the procurement plans updated on e-GP are usually not complete. The large majority of contracting processes in the data only include information on the planning and tender stages of the contracting process, suggesting that procuring entities may not be managing the whole contracting process via the system. There are other issues with the quality of data, including around identifiers, which may take time and real effort to resolve. It also isn’t clear how the OCDS data and open contracting reports relate to the information in the live e-GP system, with discrepancies in the number of tenders across the two data sources. Zambia would benefit from improving its publication policy to address this point, and ensure that users are aware of these data issues. There is no immediate evidence that the available open contracting information is analyzed by ZPPA for the purposes of influencing policy or regulatory legal changes. It is also not clear that the availability of Open Contracting reports has contributed to increased transparency leading to efficiency and effectiveness in the procurement processes of the PEs. As the information on e-GP is not complete for the PEs, any analysis would not be complete and conclusions drawn may not be useful to support any changes. Impact is the final goal we want to see all open contracting implementers score. 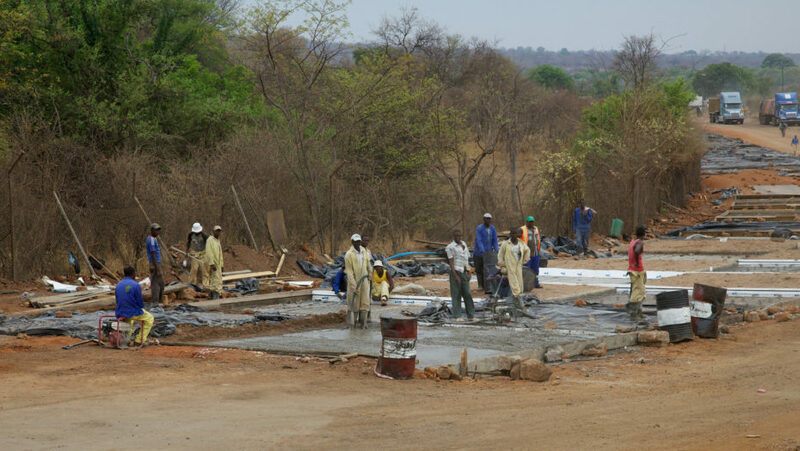 Given the progress already made and new clarity about areas to improve, Zambia has the opportunity to achieve deeper results through continuing to implement open contracting. What plays can Zambia deploy to reach more impact, and what do we propose as concrete next steps? Defining use cases and impact goals are key for reaching impact. Currently, there is no immediate evidence that the available open contracting information is analyzed by ZPPA in order to influence policy or update legal regulations. It is also not clear that the availability of open contracting reports by ZPPA has contributed to increased transparency leading to efficiency and effectiveness in the procurement processes of the PEs. As the information on e-GP is not complete for the PEs, any analysis would not be complete and conclusions drawn may not be useful to support any changes. Recommendation: Internal data use by a government can help unlock certain impacts like greater internal efficiency. We have seen that when governments know how they will use their own data, they tend to be more invested in its publication and its quality, producing more up-to-date and higher-quality data. External data use is also crucial to achieving other impact types like value for money, public integrity, value for money, and better quality goods and services. To know what data fields are most critical for unlocking use cases related to these impact goals, ZPPA should prioritize establishing spaces for meaningful interaction with data users across sectors to talk through goals, challenges, and needs. The best types of spaces for surfacing information about user needs will depend heavily on the local reality but could include town hall-type meetings, surveys, interviews and focus groups, or an online feedback portal. It would be useful for ZPPA to understand which data would be useful to the private sector from the data set and reports to promote competition, improve quality of goods and services, and achieve value for money. Though the data published are of high quality, low data quantity and incompleteness remain barriers to achieving impact through data use. For actors to be able to do impactful work, they need more data of the same high quality we see in the existing dataset. There is currently limited entry of data into the e-GP system. With certain PEs not publishing data in the system, it is not possible to have a global view of spending, making many types of analyses about how public money is spent difficult or impossible. Furthermore, even among agencies that do submit data into the e-GP system, the limited coverage of data fields published means that data aren’t fit for purpose for many use cases. Recommendation: A quick way to get more data into the system would be to pinpoint reasons some PEs do not use the e-GP system and provide solutions so PEs are more incentivized and able to submit their data. All interviewees were aware of the e-GP, however, the stakeholders where the system has been rolled out do not make full use of it. ZPPA has targets to monitor the use of the e-GP, though these are not currently being monitored. ZPPA could take a baseline of publication patterns now, implement changes to address the challenges cited above (among others they could discover through conversations with these PEs), and track progress against these targets. Revisions to the procurement law will also be needed to make usage of the system mandatory. Unfortunately, there is both political and institutional resistance to their passage. So allies will have to rally together to pass this important anti-corruption measure. An important finding is there exist various information technology infrastructure and connectivity challenges that the PEs experience that make them question the dependability of undertaking all procurement using e-GP. During our visits with some of the PEs where e-GP has been rolled out, their internet connectivity was interrupted. Some shared how procurement officers may not have access to dedicated computer equipment. As e-GP is implemented fully, it will be important to address these challenges in the PEs. Recommendation: Addressing infrastructure challenges will help more PEs submit quality data to the e-GP system. ZPPA should champion the need for the PEs working within the budget cycle, to ensure that they are able to articulate their IT infrastructure requirements to ensure that the procurement units in the PEs have minimum equipment to allow them to work efficiently. One potential avenue for this work would be to collaborate with Smart Zambia, an initiative established in 2016 as an e-government division in the Office of the President that aims the deployment of e-Government services and processes for effective public service delivery, to diagnose and resolve internet connectivity challenges. There are opportunities for ZPPA and OCP to disseminate information on the advantages for e-GP and availability of open contracting information and work with a wider variety of end users. There is limited awareness about data available- apart from ZPPA, most stakeholders not aware of the availability of OCDS. In our interviews, we heard there is little dissemination of the availability of data and ZPPA reports on open contracting. There is a general lack of awareness regarding the existence of the open contracting reports by PEs and other stakeholders, however, there was genuine interest in the in open contracting data. Some stakeholders were surprised that ZPPA had not disseminated information on this portal more widely. In order to sustain the interest, it is important to immediately begin sensitization activities through existing means. Recommendation: Disseminating information about what data are available, what feedback mechanisms exist, and what potential collaboration points with ZPPA could be with stakeholders across sectors will help ZPPA increase trust across sectors and foment new alliances that will help achieve long-term impact. There is a double challenge in that not only do stakeholders not know that the data and reports exist but also struggle to understand what the information means and how it can be used to demand transparency and accountability in public procurement processes. As such, dissemination efforts should include training stakeholders on techniques to use the dataset and information provided in the reports.